Vélo Vogue: I Bike São Paulo! I'm back from my vacation, sifting through my thousands of photos. 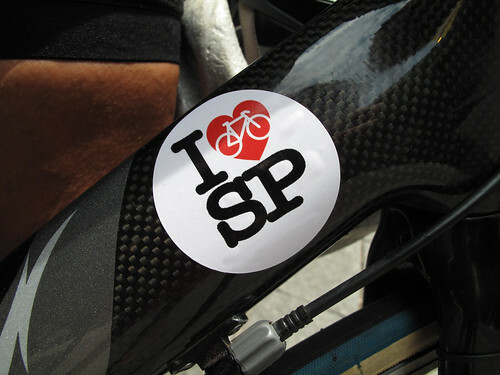 I'm so inspired by the urban cycling movement in São Paulo, Brazil! From new bike lanes, to bike parties to bike angels - Paulistas are so committed to making their home a better place to live! And ride! And coexist! Stay tuned to meet some inspiring people and see some exciting changes to the bike landscape of the largest metropolis in the Southern Hemisphere.